One of the newest and most intriguing ways marketers are integrating mobile with the traditional power of direct mail is through QR Codes, or Quick Response codes. These two-dimensional barcodes can feature PURLs that drive users from printed material to the Web via Smartphone. QR Codes can turn a printed direct mail piece into an interactive mobile call to action, allowing static messages to become a quick-scan hyperlink to just about anything online. Why Mix Mobile and Direct Mail? The Nielsen Company recently predicted Smartphones would overtake feature phones next year. Although Smartphones first became popular among business people, today many new buyers select them for personal use. Additionally, faster mobile web connectivity is growing, and mobile web search is becoming one of the most common uses for these devices. Marketers, of course, have been watching the growth of Smartphones with a keen interest in how best to use this technology to connect with consumers. Increasingly Smartphones are becoming an integral part of the daily lives of consumers. Many people do not leave home without them and view their Smartphones as very personal devices. While the relatively new field of sending marketing messages directly to consumers’ mobile phones has its place, many people are worried about privacy. A recent study indicates young adults would rather receive marketing messages via postal mail. The study, titled “Finding the Right Channel Combination: What Drives Channel Choice?” conducted by ICOM, surveyed consumers from 18 to 34 years of age and found these young adults overwhelmingly preferred to learn about marketing offers via postal mail rather than online sources. The study also found only 25 percent of respondents perceive getting more postal mail compared to a year ago, while nearly three times that amount said they’re getting more email. There is a great opportunity to gain these consumers’ attention and interest by using direct mail. As is so often the case, the point here is that integrating these two marketing channels helps companies achieve a higher return on investment from their campaigns. Here are five ways to do that. It’s simple to use a QR Code. Consumers with a QR Code reader app on their Smartphone or other device can quickly scan a barcode on a direct mail piece and be immediately taken to online content without having to type in a Web address. 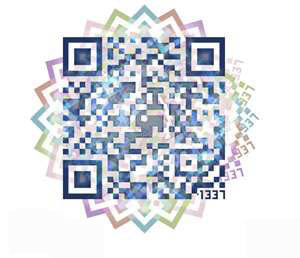 QR Codes are commonplace in Asia (QR Code is a registered trademark of Denso Wave Incorporated, but the technology can be used by anyone for free) and have picked up momentum in the United States. 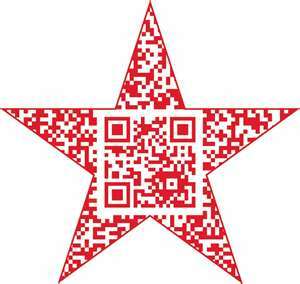 In addition to direct mail, QR Codes are appearing in magazines, billboards, product packages and store shelves. The codes are great calls-to-action that take advantage of the growth in Smartphone use and allow consumers to use their hot new technology to do something other devices can’t. Combining direct mail and QR Codes saves time and money. Rather than having to pay for business reply mail and waiting for the post office to return the information, marketers can direct customers to respond online in real time via Smartphone. Giving customers choices in how they can participate in a campaign makes them more likely to say yes to an offer. In addition, the QR Code provides a method of instantaneous, impulsive response seldom possible from mail pieces today. On a direct mail piece, a QR Code can link a Smartphone user to a personalized URL (PURL). A PURL provides a Web address for each individual so the content at that address can be unique for that visitor. Marketers can create unique QR Codes linking to PURLs for everyone on their direct mail lists. Once on a PURL micro site, visitors may be invited to sign up for monthly newsletters, for example, or view an embedded video, or request a mailed fulfillment package, allowing them to share as much or as little contact information as they desire. This online interaction can be tracked, making it easier to measure in terms of campaign ROI. The text PURL can, of course, be put on a direct mail piece in conjunction with a QR Code, allowing recipients to manually type it into a Web browser if they do not have a Smartphone or would rather engage from a computer. 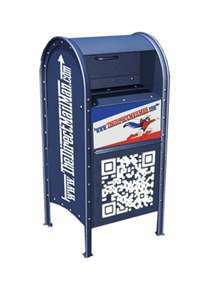 E-mail and Short Message Service (SMS) text messaging can also be integrated into multitouch marketing campaigns with QR Codes. For example, consumers receiving a direct mail piece that contains a QR Code could be immediately linked to a microsite. Then, shortly after the visiting the microsite, they receive an E-mail or SMS text response thanking them for visiting the site. Based on information they choose to share while at the microsite, they may receive additional direct mail pieces, text or social media notifications following up on the products or services they expressed an interest in. QR Codes can also help marketers track helpful information for their campaigns. As with any PURL, marketers can analyze which QR Codes are being scanned most often to determine which offers are working best. Unlike most PURLs, marketers can also track the geographical area where they are being scanned. All of this information can help develop the next campaign. Additionally, intelligent mail tracking available through the USPS’s CONFIRM enables marketers to electronically determine the progress of their mailings through the postal system. Delivery alerts then make it possible for a marketer to notify customers via email or a text message to expect a personalized package in the mail, sparking curiosity. While use of QR Codes is on the rise, there still may be a level of unfamiliarity within your target audience. When including a QR Code as a call-to-action on a direct mail piece, provide brief, easy-to-understand directions of how to use it. 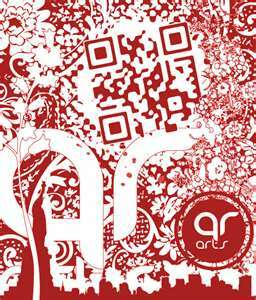 Consider including a URL where users can download a QR Code reader app for their Smartphones. The app can be downloaded through their Smartphone provider, frequently free of charge. Smartphones have exploded onto the scene, and QR Codes are, for good reason, one of the hottest applications in the marketing world today. They are easy to track and provide an immediate response mechanism that catches consumers at the very moment of interest-once consumers are intrigued, QR Codes help them take the next step. Along with other interactive technologies, such as PURLs, SMS texting and email, QR Codes are helping make the new generation of direct mail more powerful than ever. Call PC Mailing today at (800) 976-8071 or (210) 599-8071 in San Antonio, Texas to put Quick Response Codes to work for you.